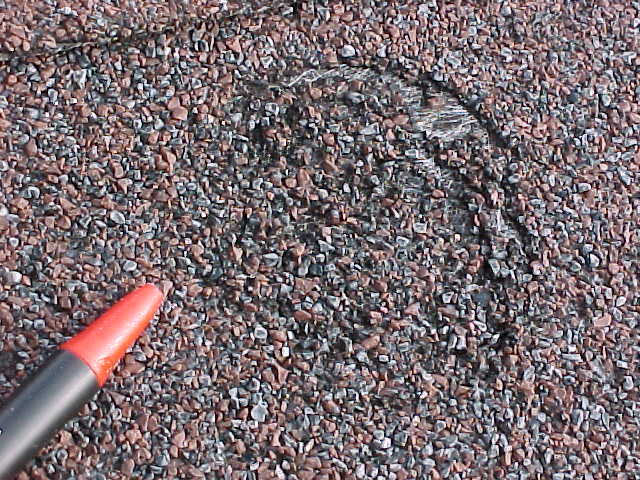 Failure of asphalt shingles allowing roof leakage; image by Dale Mahalko, CC BY-SA 3.0, via wikimedia.org, no changes. Storm season is upon us, which means storm damaged roofs. There are good reasons to have a professional roof inspection after storm damage, especially since insurance companies often deny these claims. If your home has just been involved in a major storm, it’s a very good idea that you have a professional come out to assess the storm damage. Professional roof inspection when you are assessing storm damage is crucial to maintaining your home’s value and making sure that your home is still safe after it has been tested by a storm. Checking for leaks: checking for areas where your roofing systems have been exposed can help to prevent rot, mold, leaks and a variety of health concerns. Professional inspection will speed up this process because a professional will know exactly where to look and where the weak points in your roof may be. Analyzing overall stability: a stability analysis for your home can assess the need for future repairs. Maintaining the structural stability of your home can help to prevent the chance that other systems could be heavily impacted. Making sure that the overall structural integrity of your home is secure can improve the safety of your family. Shingle bruised by large hail; image by Ric Vitiello, Benchmark Services, Inc., CC BY-SA 2.5, via wikipedia.com, no changes. Shingles: shingle replacements are often needed in the event of a severe storm. Analyzing your shingles can help to make sure that there are no weak points in your roof or areas where water could seep in. It is no secret that insurance companies try to wrongfully deny such claims by the homeowners and this is the BIGGEST reason why you should have a professional roof inspection done when assessing storm damages. This post was written by Reggie Reed. Reggie is the owner of Reggie Reed Roofing, a Clearwater roofing company. They offer a wide variety of roofing services for Residential homes, apartment complexes, condos, commercial buildings, churches, and more. Reggie Reed, Jr. is a state-certified roofing contractor and co-owner of Reggie Reed Roofing, located in St. Petersburg, Florida. Reggie holds a bachelor’s degree and a master’s degree from Southern Illinois University Edwardsville, where he played collegiate basketball. Reggie enjoys dedicating his spare time to helping underprivileged youth in his community and traveling with his family and friends. Read more articles by Reggie Reed, Jr.